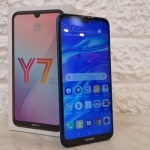 The success of the Huawei Nova 2i prompted the company to expand its Nova lineup with the more affordable Huawei Nova 2 Lite. 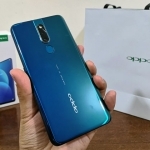 It features a dual camera system at the back and a single front camera with a ‘Selfie Toning Flash’. Let’s unbox the device and find out if it lives up to the Nova name. 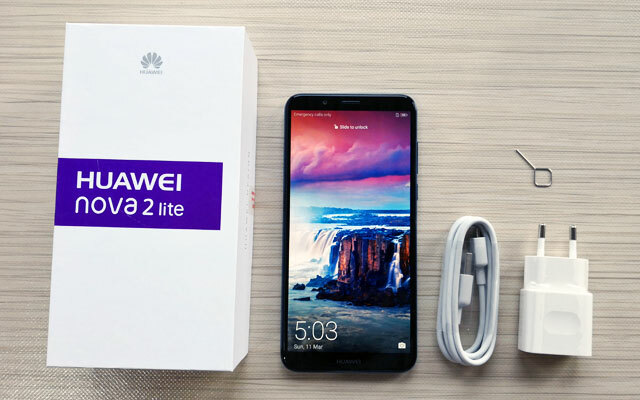 Unboxing the Huawei Nova 2 Lite smartphone. 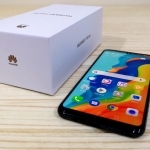 There’s not much inside the box of the Huawei Nova 2 Lite but that might be because I have the pre-release unit. It only contains the unit itself, a 5V/1A charger, USB cord and SIM ejector pin. A representative from Huawei assured me that there will be a set of earphones in the retail box. A FREE JBL Bluetooth headset will also be given to customers who pre-order the device. It also has a pre-installed screen protector. 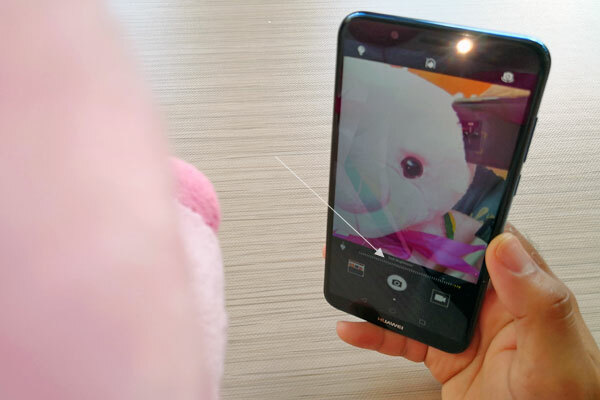 However, I removed it to get a better review of the phone’s display. 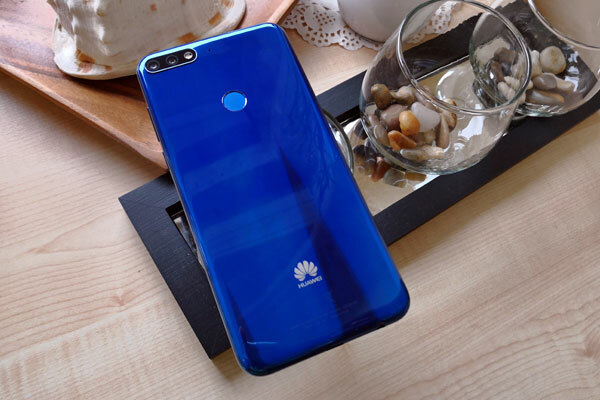 The glossy design of the Huawei Nova 2 Lite. 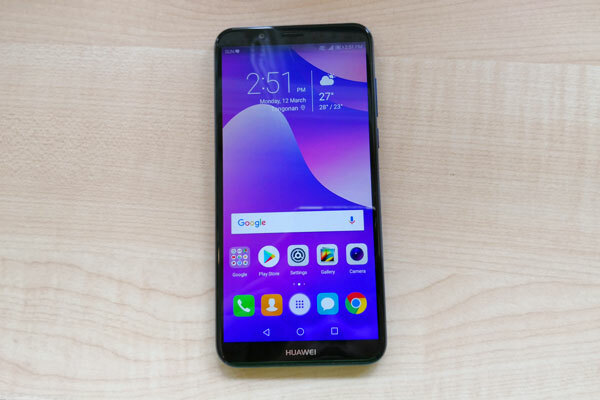 Upon holding the Huawei Nova 2 Lite for the first time, its glossy design reminded me of the Mate 10 and Mate 10 Pro. Its back even has sheens that appear when the device is tilted. However, this also makes it a bit slippery and attract its fair share of smudges. The front has the 5.99-inch display with 18:9 aspect ratio. It’s not as sharp as the full HD panel of the Nova 2i but it’s still clear and crisp. It’s also bright enough for outdoor use. I can’t comment on the software though since my unit doesn’t have the final retail version yet. So far, EMUI 8 running on top of Android Oreo looks good and works smoothly although its Face Recognition feature takes a moment to recognize my face. The Selfie Toning Flash in action. The phone’s cameras are impressive for the price. The dual rear camera can take good pictures in good lighting situations. Similarly, the front camera can also take good looking selfies. I haven’t tested the cameras in low light yet but the ability to control the brightness of the front LED flash is promising to capture the most appealing selfies at night. 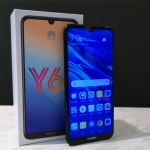 I made a guess that the price of the Huawei Nova 2 Lite will be under ₱10,000.00. 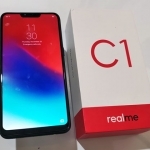 I almost lost hope when rumors surfaced that it will be priced ₱11,990.00. However, Huawei managed to surprise me when they revealed the phone’s official SRP as ₱9,990.00 only! I’ll be testing the phone in the next few weeks by using it as my main smartphone. Comment below the tests you want me to perform on the device.